A few days ago, an article posted at The Verge caused quite a few people to question whether or not ordering (or cancelling existing orders of) the Samsung Chromebook Pro was a good idea. This is not my review. That will be coming in a week or so. This is my 3-day retrospective on a device that is not just good. It is great. And it is not deserving of a “Do Not Buy” label. As reviewers, most of us receive a single device, spend some time with it, form some opinions, and then write an article or two about that experience. As a manufacturer, Samsung (and any other manufacturer) is going to have a device ship with issues here and there. It is why warranties exist. It is why cars have lemon laws. Every device off the line won’t be perfect. So, that being said, I’m forming my opinion on the device in front of me. The device I am typing this article on right now. The article at The Verge was based on the device in front of them at the time. I need this to be clear: I’m not pointing fingers and saying I’m right and others are wrong. I do have a VERY different opinion of this device, though. I may have the device in the minority. The Verge may have the device in the minority. Truth is, we won’t know until more units get in the hands of their owners whether or not there is a wide-spread issue. While I can fully appreciate a warning if there is an issue across the majority of devices, what I can’t sit back and leave alone is the broad statement the consumers should not buy this device based on a single review unit. I could be wrong, but it seems unlikely that multiple devices were tested before this article went public. Instead, a highly influential news outlet is saying – via the title of the article – don’t buy this device. I have, on a few occasions already, been in situations that The Verge’s article describes (more than a dozen or so tabs open) and experienced no issues. No lag. No slow down. No crashes. And I entered this review period very, very skeptical of this device. It was a bit of a mess back in February when we had our time with it. This unit, however, has been nothing if not surprising. I expected issues with my usage and 4GB of RAM. I’ve not had that. I expected issues with Android apps crashing or behaving strangely. None of that either. As a matter of fact, the apps listed in this article that were tagged as ‘poor’ in their performance by a research study conducted by ARM actually perform perfectly on the Pro. The only app I’ve had issue from is Mortal Kombat X. And I only attempted it because it was on the earlier-mentioned list. The one knock I have thus far is one nobody is really discussing, and that is the app window sizes. We are still a bit away from resizable apps, and it looks like we’re stuck mid-transition. Apps open up in a phone-sized window and can be resized to full screen. The landscape option is not there at all. For many apps, this works well and helps with the transition to the big screen, but the behavior is a bit odd. However, for the majority of apps that still don’t have a big screen, landscape version, this keeps things working without issue since the apps aren’t being forced to adapt to a screen size they aren’t really ready for. In the world of Chromebooks, there’s little that surprises me anymore. I wish it happened more often, honestly. 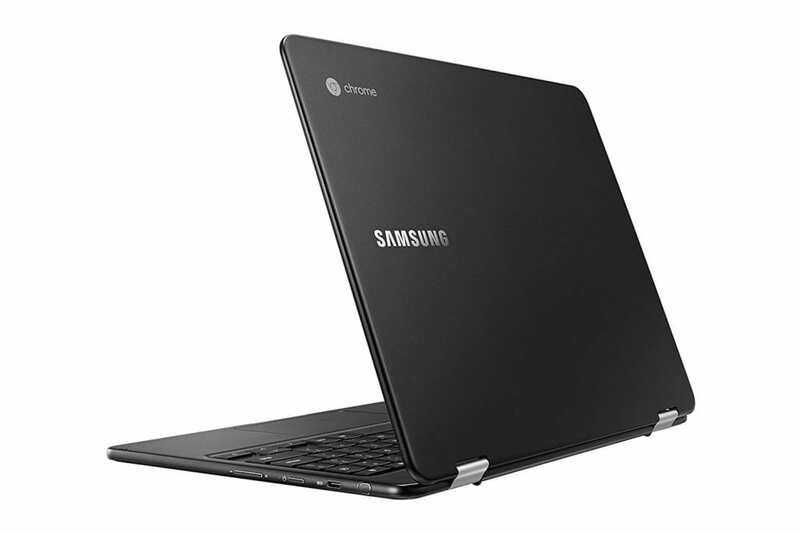 The Samsung Chromebook Pro has surprised me. It is attractive, light, thin, possesses a great keyboard/trackpad combo, bright, high-res screen and performs fast enough to keep up with everything I throw at it. I wrote this one off before it showed up, honestly. I wasn’t liking the black paint job and I was less than impressed by the Pro the first time around. I’m telling you that this device is the real deal. Sure, Android apps still have a way to go, but they will get there. (I’ve been using 4-5 regularly with no issue at all, so I’m already seeing some of the upside that will come when all this just works.) But that is the only knock I have with this device right now. Everything else is just fantastic. And, despite the fact that I don’t like the current window behavior of Android on Chrome OS, I’m enjoying the experience of using apps more on this device than on any prior. The good news is, Android will continue getting better. Could I have one of the few ‘good ones’? That is possible. It really is. I lean towards thinking The Verge got one of the bad ones. Again, we won’t know until more people have them. All I can tell you is what I’m experiencing with the one on the table in front of me, and that is all good things. I’ve been looking forward to devices like ‘Eve’ in hopes that my daily driver could be the next device coming out. I was looking right past the Samsung. 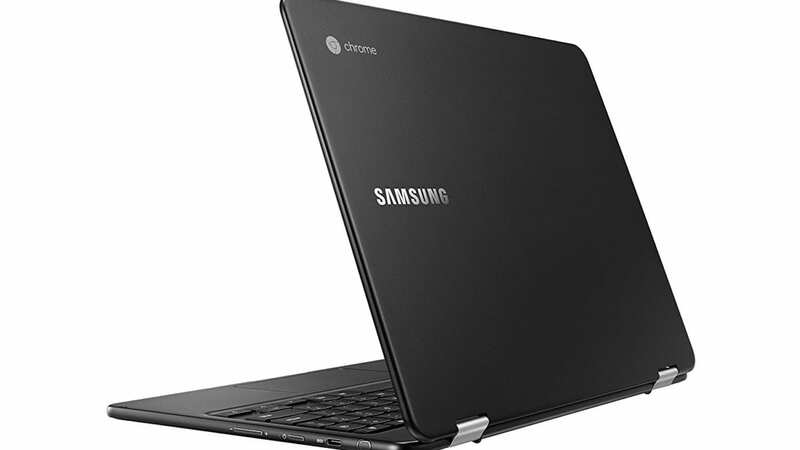 As it turns out, my next personal Chromebook could be the one I’m using right now.